- Elgin Very quick follow up call. Only took minutes for operator to call and confirm details. Just waiting now for first company to call. Very friendly service. Whether looking to improve energy efficiency or facing a complete boiler breakdown in the depths of winter, paying for a boiler installation in one bulk payment can be unrealistic for many of us. How can Boiler Guide help? If you're a homeowner you could qualify for a boiler finance plan with one of our approved installers, enabling you to spread the cost over a period of time that suits you. Monthly payments can be as low as £15 - £20 with some installers offering package deals that include installation as well as ongoing maintenance and repairs. The monthly payments are often offset by the reduction in your monthly energy bill. 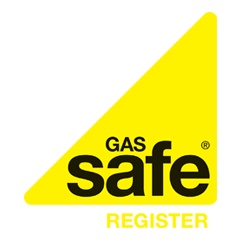 For example, replacing a 'G' rated boiler with an 'A' rated could save you up to £305 per year in energy costs; that's a potential £20 - £30 back in your pocket every month which should more than cover the cost of a finance plan. If a finance plan sounds like the best option for you, complete our enquiry form to request a quote from one of the registered and reputable installers in your area. They will be in touch to guide you through your options including any deposit needed or interest rates, which can be as low as 0% APR. Do you need a boiler on finance? * Qualification for a finance plan is subject to a credit check. These are estimated figures based on installing a new A-rated condensing boiler with a programmer, room thermostat and thermostatic radiator controls (TRVs) in a gas-heated home from an older boiler with a programmer and room thermostat. Savings will vary depending on the size and thermal performance of your home. Figures are based on fuel prices as of April 2018.